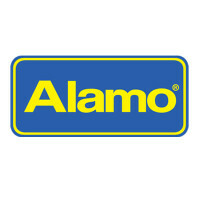 Alamo Car Rental started with four locations in Florida in 1974. They are the first car rental company to introduce the idea of “unlimited mileage,” making them the go-to agency for families. They continue to penetrate this market by establishing agreements with family tourist attractions. The following is the information needed for your Alamo Car Rental application. Alamo has led the way in innovation by introducing things like the rental plaza in 1982 and online reservations as early as 1995. The Taylor family of St. Louis purchased the company in 2007 under the Enterprise Holdings umbrella which also owns Enterprise and National Car Rental. You can find an Alamo Car Rental application by searching Alamo Car Rental jobs online. Alamo serves more international travelers visiting the United States than any other car rental company. They currently have locations through all of North America including Mexico and Canada. They also have operations in Asia, Latin America, and the Caribbean. The company is privately held by Enterprise Holdings for St. Louis, MO. Enterprise Holdings has taken a leadership stance on their commitment to environmental sustainability. They plan to reduce emissions from their vehicles. The company has also pledged to plant fifty-million trees by 2056. It’s this kind of forward thinking dedication to reducing the impact of cars on the environment that demonstrates their leadership in the industry. You will be re-directed to Enterprise Holdings when you search for the Alamo Car Rental job application online. You cannot download the application form and there is no printable application for Alamo Car Rental. The first step to apply for jobs at Alamo Car Rental is to create a profile. You can use your social media accounts such as Google+ or LinkedIn or upload your resume to create your applications. People working in Rental Operations are the most visible face of the operation. These associates provide excellent customer service to the travelers in over 8500 locations in Asia and the Americas. Positions in Rental Operations include Management Trainees, Customer Assistance, Bus Drivers, Exit Booth Agents, Greeters, Return Agents, and Rental Sales Agents. Supporting those locations are the Corporate and Administrative positions in the headquarters near St. Louis, MO. Positions are available in Account and Finance, Administrative, Customer Service, Fleet Management, Risk Management, and Executive Operations. These posts support all functions within the Enterprise Holdings Group, not just Alamo. They also have internships available for college students. How old do you have to be to work at Alamo Car Rental? You have to be at least eighteen years old to apply for Alamo Car Rental jobs. Many positions require a college degree, however, there are internships available for Juniors or Seniors in college. Candidates wishing to apply for interships should fill out the online application, since there is no printable application form. A career with Alamo Car Rental offer employees an excellent salary and the opportunity to earn commissions. Their benefits packages are competitive with large corporations and include medical, dental, vision, and life insurance. Retirement plans, and even discounts on car rental and purchase. Hours of operation are 8:00AM to 12:00AM daily. Job opportunities exist for a wide range of careers. The core of the company begins with the Management Trainee career path. Management Trainee- Management Trainees start out in local neighborhoods. You learn all the functions necessary for future success in the organization including customer service, sales, finance, and operations. Assistant Managers– Alamo employees are promoted based on success, not seniority. The next step is Assistant Manager. The job description includes learning the responsibilities of being a branch manager, and perform all the duties of managers. Branch Manager– The Branch Manager controls all operations within his/her branch. This includes guiding all aspects including customer service, sales, finance, and hiring candidates. Branches can range from small neighborhood offices to large airport operations. Area Manager- Area Managers oversee the operations of multiple branches, ensuring the highest standards of customer service, are upheld by the locations in the area. They direct the sales and finances of the branches in their charge. Regional Vice President-The Regional VP oversees the operations of multiple Areas. The Regional VP is responsible for budgets and revenues in the tens of millions of dollars. This position reports directly to the CEO. Other Support Positions– Operating 8500 outlets requires a large network of support positions. Enterprise Holdings which includes Alamo Rental Car. Jobs such as Customer Service, Accounting, and Executive Management are available throughout Asia and the Americas. You should be prepared to demonstrate the highest level of professionalism. Many of the customers are families on vacation and people traveling on business. The success of the company depends on employees being able to make the customers happy and sell added value items like insurance, GPS, and refueling. Your first interview may be over the phone. You may be interviewed by several people at once at the in-person phase. What type of success have you had in sales? Be ready to give concrete examples such as, I increased revenue in my territory by 10% each month last year, or I won an award for selling the most memberships. What are your strengths and weaknesses? Be realistic but positive about both. Try to remember a weakness you have overcome and explain that. Example: I used to be shy about talking to customers, but when I realized that I could really help them, I overcame my shyness and now talking to customers is the best part of my day. How is your driving record? You need to have a good driving record to work here. No more than 2 moving violations or at-fault accidents in the past 3 years and no DUI/DWI in the past five years. What was your best customer experience? Be ready with at least one and possibly many examples of customers that you have delighted. Talk about the steps you took and how you went above and beyond to make them happy. What was your worst customer experience? Be less specific, never call anyone out for difficult behavior. Example: People who are in a hurry require special care. When you get that sense, make sure that the whole team is on board to take care of them as quickly as possible. To learn more about how to apply for Alamo Car Rental online, follow the link for online application below. You will start by filling out an online profile through the Enterprise Holdings site. Make sure to include all relevant experience, your education, and any volunteer work or extra-curricular activities that demonstrate your abilities. It is essential that you look professional when applying for a job, especially in a Management Trainee or any other Management position. Even if you’re applying for a job as a mechanic or bus driver you should still wear slacks or khakis and a collared shirt. This shows a level of professionalism and respect for the application process. If you’re applying for a Management position, you should be able to discuss your leadership skills and the steps you take to motivate people. Even if you’re applying for an internship and you’re still in college, you can still demonstrate leadership. Talk about a group project you headed for a class, or a team you lead as an extra-curricular activity. For management positions, both men and women should wear a conservative business suit. Although you will not be expected to dress in this fashion on a day-to-day basis, this mode of dress shows that you are putting your best foot forward to secure the position. It indicates a desire to appear professional. Above all, you should demonstrate a desire to work as part of a team to achieve goals and serve customers. Employees at Alamo often represent the starting point for a families vacation, make sure you show your dedication to making it a good experience. To begin the free application process, apply online using the link provided below. If you feel employment with this company would be right for you, fill out the direct application online. Rite Aid: See our guide for careers at Rite Aid. Sunrise Senior Living: Checkout the application page for work at Sunrise Senior Living. Genesis Healthcare: For career opportunities, fill out the Genesis Healthcare online application. Shoppers Drug Mart: For career opportunities, fill out the Shoppers Drug Mart online application. BMW: Visit the job application for BMW to apply today.